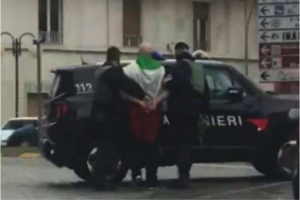 Luca Traini arrested after the attack in Macerata. Maybe this specific dialogue never took place in the evening before the tragic and mad action of Luca Traini, the 28 years old guy who shot towards immigrants in Macerata, Italy the 3rd February. After shooting 30 times, he went to the place where the corpse of Pamela was found and left there an image of Mussolini for then going to the city square, put an Italian flag on his shoulders and let police arrest him while he was doing the fascist salute. In this terrible event, many issues of Italian society are enclosed: Macerata is a university town in the middle of Italy that, like many other places in the country, suffered much for crisis that led left many people without a job not allowing youngsters to find one. As often happens in these cases, part of the population addresses the causes of social and occupational issues and anger towards immigrants, blaming them for the situation. This anger is a gift to the ultra-right-wing that seems to be ready to gain votes and reach never-expected-before results in the next elections that will take place the 4th March. None of the victims of Traini’s attack died, nevertheless what happens is grave. A firm condemnation of this attack should be natural. This is not the case. Macerata has been shocked by two tragedies in few hours, still the storm seems to be far from getting to its end. Fascism in Italy was formally defeated in 1945, but the underlying conflict between ultra-right-wing and other parties seems to have found in Macerata its battlefield. Italian politicians know this and seem to be eager to take the chance of gaining votes from this instead of taking care of the city. Maybe, the dialogue above never happened, still dialogues like that one happen every day in every cafè of Italy. In the real country life, words like “cleaning” and sentence like “when there was him” (referring to Italian fascist dictator Benito Mussolini, mourning that time) take place daily. 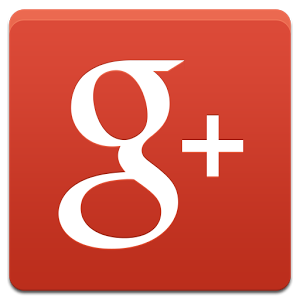 A measure of this phenomenon is given by the number of Facebook groups containing racist posts, praise to Mussolini and, lately, support to Traini. Not only ultra-right wing parties but also privates offered to pay Traini’s legal fees and Mein Kampf (book that has been later found in his room) number of sales has increased in these last days. The right wing is doing nothing to stop this shame. The softer ones among them say: “he should not have arrived until that point”. Is this part of the population ready to take the gun and shoot? No, the most part of those that call themselves as fascists and write racist posts on Facebook feel ashamed when asked about it. To write stupid things with a keyboard is far easier than saying them out of a comfort “setting” and even easier than putting them into action. Nevertheless, some politicians are ready to exploit these people by not condemning but addressing the fault to the presence of immigrants. They know that an attack like the one in Macerata is unlikely to happen and they have no problem on taking the risk of it. They have simply found the chance to grab votes by boosting the hatred towards other political factions that are blamed to be too soft about the migration politics. By doing so, they know that they will give a justification for this outrageous feeling to the people that will feel justified to vote for them at the next elections in March. In this way, rage and racist hatred with neo-fascist and neo-nazi nostalgia have a key part in the electoral campaign, showing the weakness of a fragmented society and highlighting risks for the safety of the Nation. The limit of decency has been overcome, some are defending something that has no way to be defended, in some cases justifying it pretending not to see for what it was: a killer attack towards innocent people that nothing had to do with Pamela’s brutal murder just because their skin was black. We are not talking only of the ultra-right-wing: more relevant politicians – always in the right wing still considered to be the center-right – like Matteo Salvini (Lega Nord – right) and Silvio Berlusconi (yes, it is still him, Forza Italia – center-right) are among these. For sure, the integration of immigrants is a problem that has to be afforded with better politics, but the real urgent and more worrying problem is racism and Fascism for they are threating the foundation of our democratic society itself. Giorgia Meloni, Silvio Berlusconi and Matteo Salvini, the three leaders of the right parties for the 4th March elections. Ultra-right wing did not stop with this. They kept on boosting the hatred in this delicate situation by ignoring the request of Macerata’s major asking not to demonstrate in order to calm down the situation in the city. 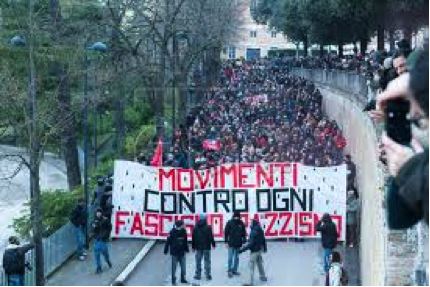 Macerata is not a fascist city and many reactions against neo-fascist demonstrations and against these racist events took place. Demonstrations against racism and fascism. Still it is necessary to firmly oppose to these phenomena and reach the awareness that the higher risk is coming from the inside and it is growing more and more. It is not admissible to jeopardize democracy with the aim of grabbing some votes, now it is the time to learn from what happened and take care of a wounded city. The condemnation for the facts of Macerata must be firmer and louder, it should start from institutions and supported by all political factions, because none of them can be part of the political democratic scene and show itself to be against the values of our constitution by not condemning these events. It is not the preserve of the left wing or of the government: the future of our democracy and freedom is at stake.